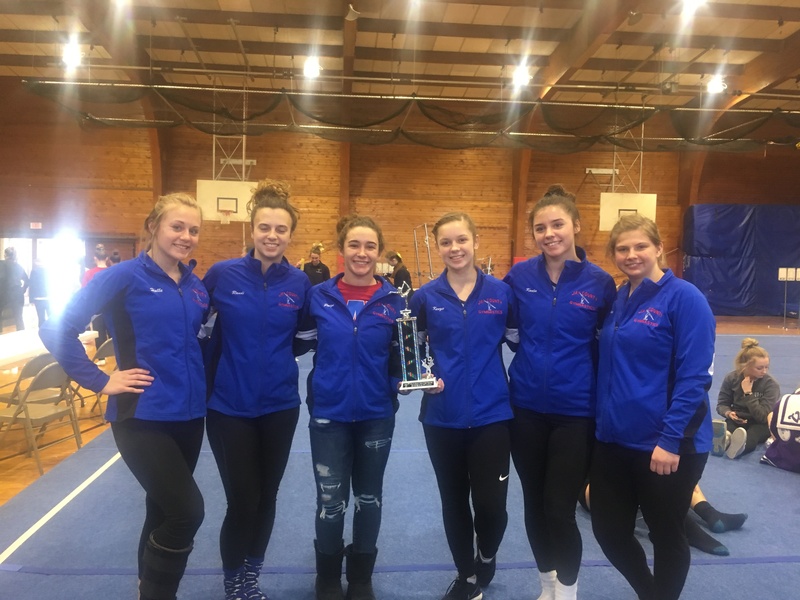 The Jay County Patriots Gymnastics team claimed the second place trophy at the Western Invitational on Saturday, January 26th. The invitational featured 63 gymnasts representing 11 schools. Northwestern High School finished first with a team score of 95.075. Jay County finished 2nd with a team score of 93.425. Kenzie Ring placed 6th on vault with a score of 8.6, 3rd on bars with a 8.375 and 4th on floor with a 8.5. Ring placed 4th in the All-Around competition. Karlie Bullard placed 7th on bars with a 6.775, 5th on beam with a 8.3 and 3rd on floor with a score of 8.875. Bullard placed 6th in the All-Around Competition. The Patriots’ next meet is on Monday, February 4th vs. Muncie Central and Richmond at Richmond.